The Russo-Japanese war has always fascinated me. I have read everything I could about it, that has been written in English. The land war has so many what if moments on the Russian side. As far as the naval war, the funeral procession around most of the world by 'The Second Pacific' squadron is mesmerizing. The fact that this is a rehearsal for WWI just makes it that much more interesting. Machine guns, search lights, and modern firepower should have alerted the major powers what was in store for them. I first bought this book when I was a teenager, and now I am on my second aging copy. It just has everything about the war, and also goes into all of the different personalities. 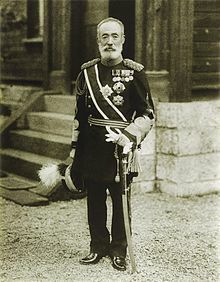 This is a picture of General Nogi, who lost two sons in the war. I reread it or bits of it on a yearly basis. Funny thing though, I have never looked up any other books that the authors have written. Maybe this book is so good that I think nothing else the authors could do would match up to it. 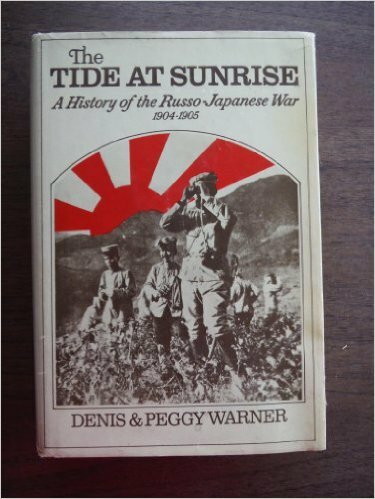 There are more than a few books on the Russo-Japanese War, but when I am asked "Which book should I read on this war?". The answer is always the same, this book. Terrific book! Read it years ago and still go back to it now and then.